Kahal Kadosh Mikveh Israel, “The Hope of Israel”, is the oldest Jewish congregation in the city of Philadelphia, and the second oldest congregation in the United States. It dates its roots back to 1740 when Nathan Levy, upon the death of his child, applied for a grant of land at 9th and Spruce Streets from Thomas Penn, Proprietor of Pennsylvania, to consecrate as a Jewish burial ground. At the time of its founding, the only other Jewish congregation in the United States was Kahal Kadosh Shearith Israel in New York City. That congregation was formed by Dutch Sephardic Jews who were descendants of Spanish and Portuguese refugees of the Inquisition. A number of the early founding members of Mikveh Israel in Philadelphia were from prominent Sephardic families in New York, Charleston, Richmond and Savannah, and though another large number were Ashkenazi Jews, there was broad agreement to adopt the Spanish and Portuguese customs and rite that prevailed in the country at the time. The service and customs remain largely unchanged up to the present time. Mikveh Israel is called “The Synagogue of the Revolution” because the early founding members of the congregation were very active in the activities that led up to the war, with many of them signing the Non-Importation Act of 1765. Many of the members were very active in the war effort itself, either directly fighting on the American side, supplying the army with food, ammunition, equipment, and clothing, or contributing funds that made war itself possible and ensured an American victory. After the war, members of Mikveh Israel with were in regular contact with Washington, Jefferson, Madison, Adams, and the other leaders who wrote the constitution and shaped the country in its earliest days. 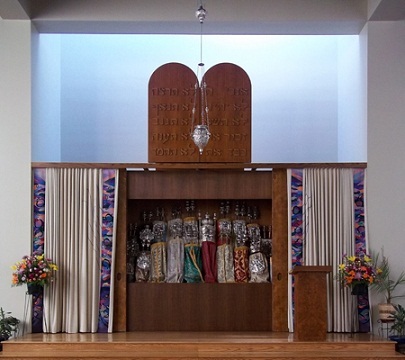 In this blog, you will read articles exploring the rich history of Congregation Mikveh Israel – meeting its members who helped shape Jewish life in particular and Philadelphia society in general. You will also read about the various synagogue buildings and about the many important institutions that were established by the members of the congregation. Your feedback and comments are welcome and appreciated.